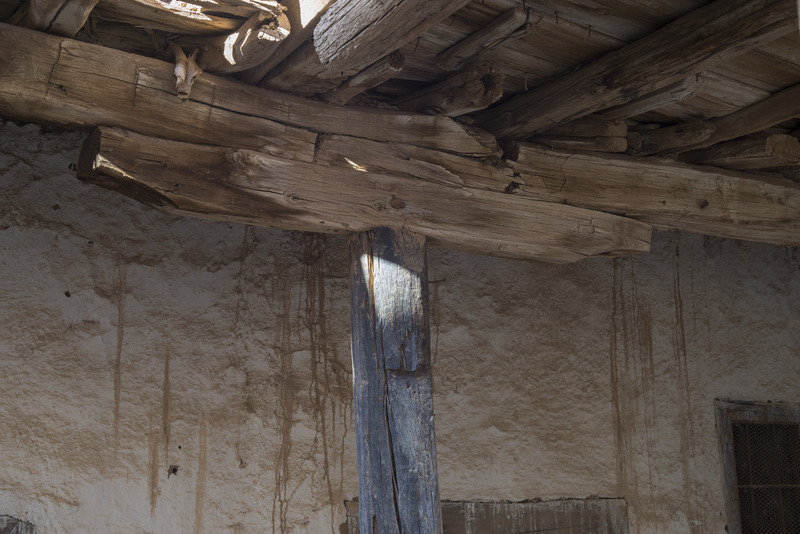 Sinai post and beam constructed centuries ago in the desert, where wood is scarce. If you focus in on top left about one third in of the picture you will see a head leaning over… like a lizard perhaps…..with two dark eyes and one sort of ear. Wish there was a way to isolate this image….. and make it larger. It has a benign expression. Rather more like a giraffe leaning over perhaps. Maybe I’m being fanciful!